The area around the national park „Tiroler Lechtal“ is our home base and it’s way more than just a secret spot for Canyioning. 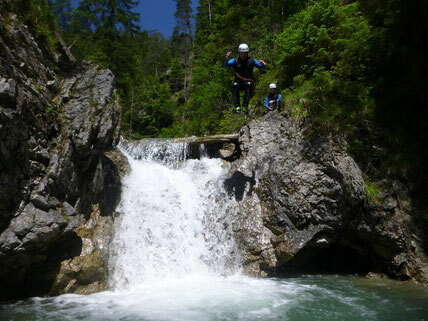 In between the mountain chains of the Lechtaler alps and the Allgäuer alps it offers a huge variety of different canyons and beautiful landscape. No mattter if you are a beginner, or an expert, we’ll find the perfect solutions for your needs. So leave all stress behind and let’s conquer nature together!